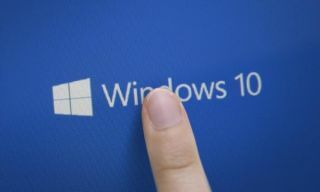 Microsoft is reportedly bringing a 'Lean' version of Windows 10, targeting tablet devices with less storage. The new version, reportedly called Windows 10 Lean, was first spotted in the Redstone 5 preview build. It apparently requires 2GB less of storage than the “classic” version. It is being designed for devices with small amounts of storage, like older tablet devices which come with 16GB of storage. As they don’t have enough space, these devices sometimes end up not installing crucial OS updates, putting themselves, and their users, at security risks. Microsoft wants to make sure that doesn’t happen. But when an OS saves 2GB, something has to give. In this particular case, it seems as the Registry Editor and the Internet Explorer are going to be among the features getting the axe. On the bright side, Windows 10 Lean will keep the support for legacy apps, which means users will still have full Win32 support if they want it. Windows 10 Lean will not be a part of the Windows Core OS, and will not run on Andromeda. According to Windows Central, this iteration of Microsoft’s operating system is currently in development and, as such, is very buggy in the latest Redstone 5 build.